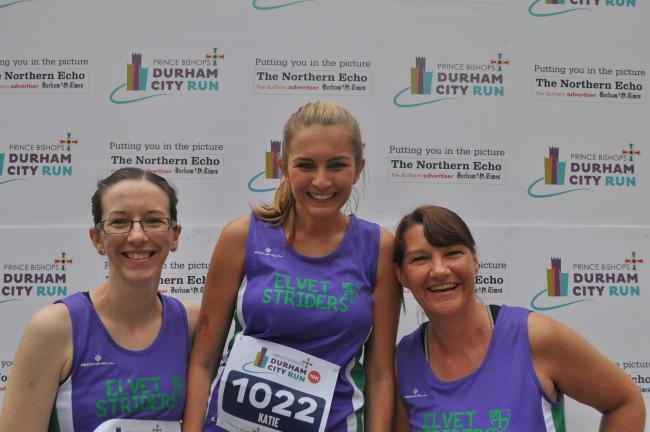 Wednesday the 20th of July I took part in the first ever Durham city run. It was a hot sticky night in the city and when I arrived the market place was filled with runners. Image from The Northern Echo (Source). The thing I love most about running is the running community, it doesn't matter what club you come from every now and then we all gather in one place and take part in a running event. It doesn't matter if it's a road run, trail run or parkrun everyone gets on with everyone and it's brilliant. 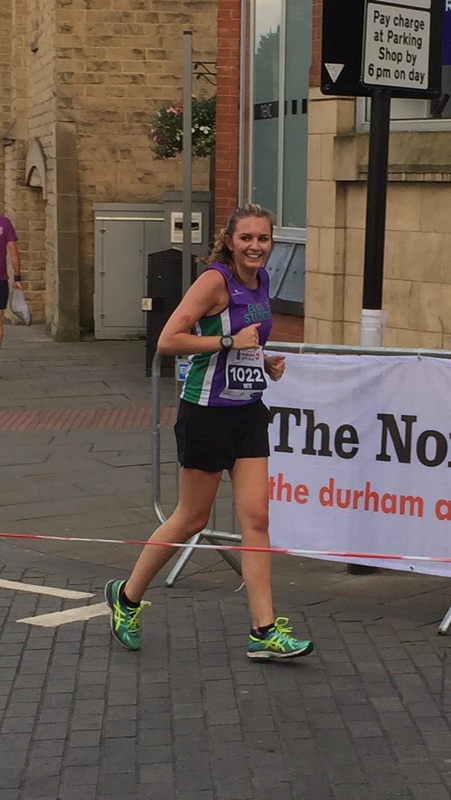 So there I was in the middle of the market square surround by people I met towards the end of last year about to take part in the first ever Durham city run. I felt hot, nervous, excited and desperate to see the finish line. It was also the first running event my parents were able to come too. I got to see them before the run started for a good luck kiss from my Dad and during the run for some cheers of support. I think you'll agree my Mam took some brilliant photos. 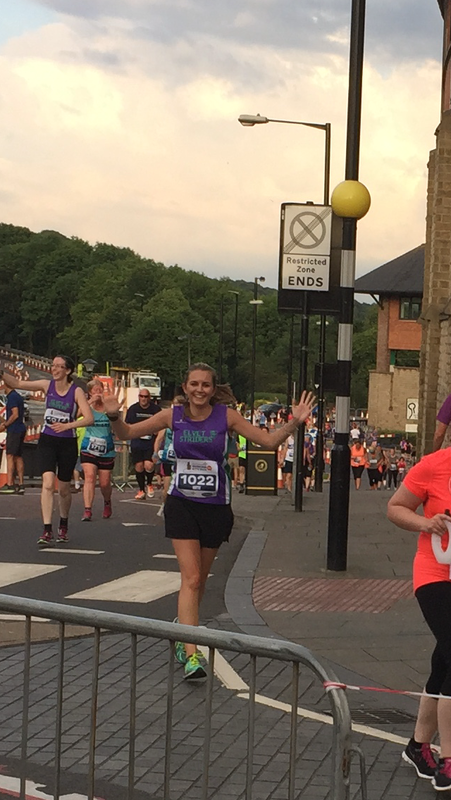 There was over 2000 people took part in the hilly course with a 5k and a 10k option. I picked the 10k - which in hindsight seemed like a good idea but it meant I had to run the 5k route twice, which meant double the hills. 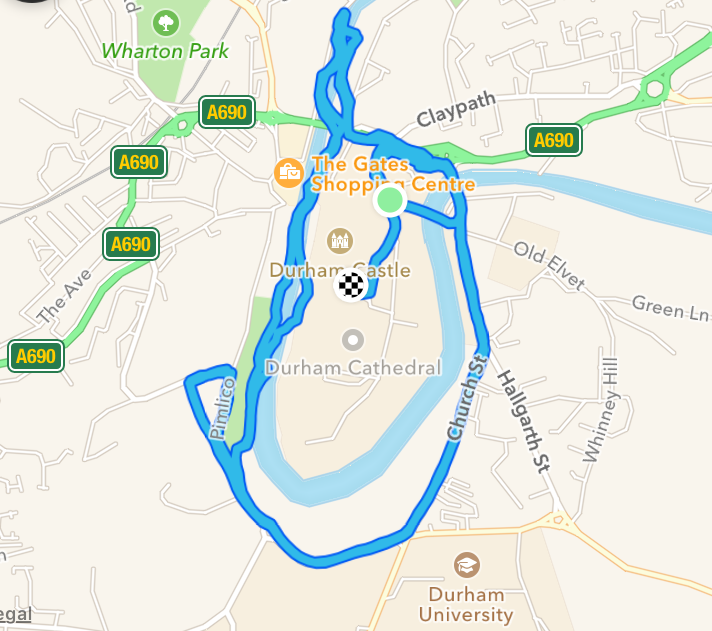 The route was beautiful, taking you past some of my favourite parts of Durham, along the river bank past Prebends bridge and the finish was at the Cathedral. Here is my strava route on where I ran. I wasn't going to break any world records or personal records for that matter during the event as I'm coming back from injury and feel a lot of my fitness has gone, also the hills!! On the second lap of the course around a mile away from the water station I kept telling my friend Becca how excited I was to have a drink, when we arrived at the station there was none left. I said if you've got no water I hope you've got some vodka stashed away somewhere. Thankfully it wasn't far to the end where I drank two bottles of water in one go. My time was 1 hour 13 minutes and 45 seconds, that is what I have to beat for next year. Which I will 100% be taking part in! After the run my parents and I went for a drink before heading to the Fat Hippo in Durham for some burgers. It was great to see so many people out with their finishes t-shirts on in restaurants and bars. I couldn't eat as I really didn't feel very well, I think it might have been dehydration and running in the summer heat. But my Dad enjoyed an American burger (which is in fact my favourite). And my Mam had the Fat Hippo burger. I was so thankful to get into my bed that I slept solidly till half 6 the following morning - that hasn't happened for a long time! Thanks so much to all the organisers, Events of the North for their hard work in putting the event together in my home town. It was spectacular. I can't wait till next year - see you there? !